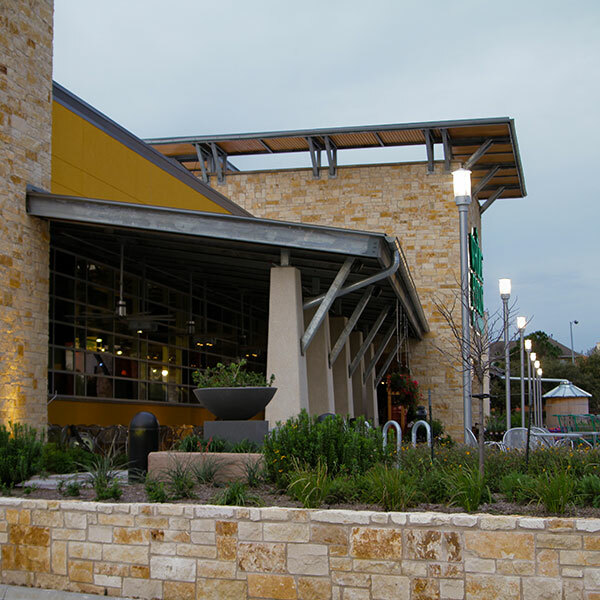 The long-awaited Whole Foods grocery store at the northeast corner of Waugh and West Dallas opened in June of 2011. 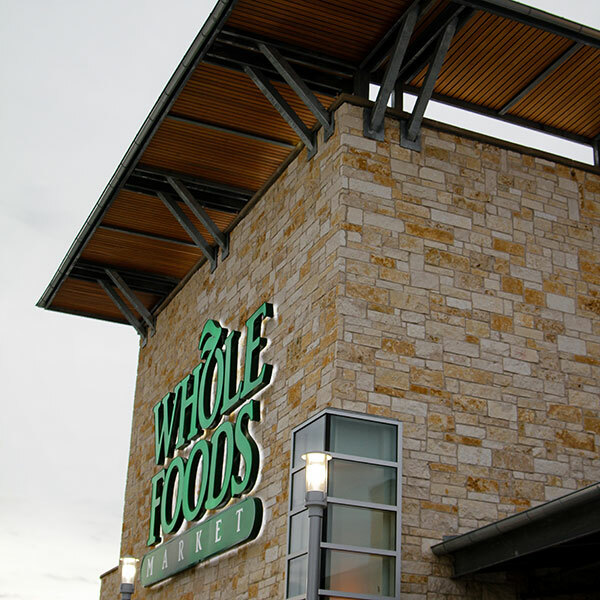 Nestled amongst several new developments and a very active community, Whole Foods is the perfect addition to this part of Houston. This very pedestrian friendly store has traffic entering from the back of the parking lot allowing cars to easily enter this high-traffic area. Bike racks with 50 slots, as well as a free tire filling station are a few of the amenities encouraging bike traffic. This vibrant store reflects the neighborhood in many ways, including highlighting local artists and providing extensive local vendor flavor throughout the store. 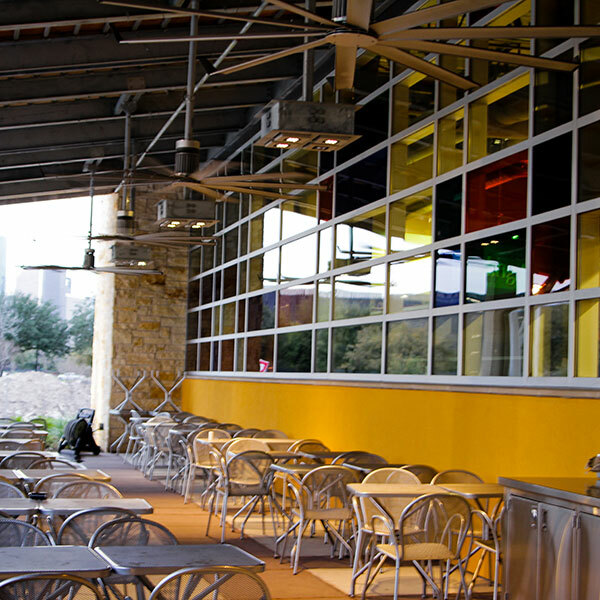 The corner of the store on Waugh facing famous Houston restaurants features an outdoor/indoor style café with garage-type doors that open in good weather, creating a local spot for residents and park-goers to enjoy. 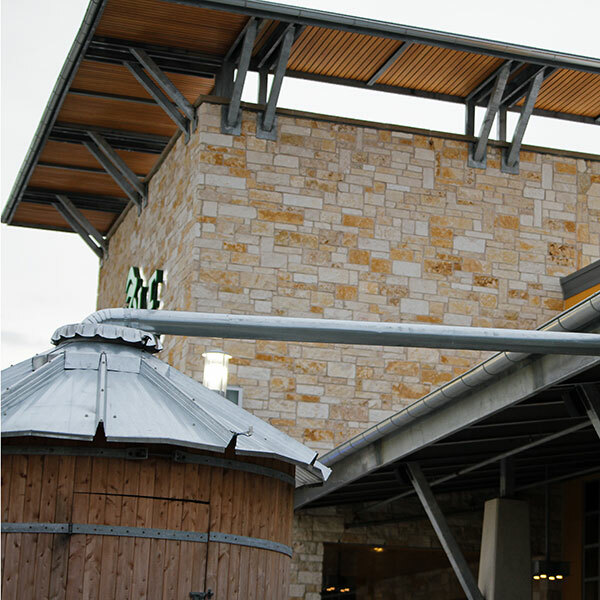 Customers also flock to this location because it features the first wine bar for Whole Foods, along with a smoke house offering some of the best BBQ around. Similar to LEED standards, this project utilized Green Globes Design to help design a building that is energy and resource efficient, achieving operational savings and a healthier place to work. The store itself includes a complete refrigeration system and a tremendous amount of kitchen equipment was installed since the store includes a delicatessen and other food venues, In addition, ceramic tile in many varieties was installed in all of the wet areas from floor to ceiling. The interior includes a polished concrete floor, standard to all Whole Food locations. To allow natural lighting throughout the store, numerous skylights were placed on the roof and shade is provided through many large trees. A rainwater recycling system is in place to be utilized for all landscape irrigation.